If I'm Not Drunk, the satire "game" about DUI, was too subtle in its message of how pathetic you are when you're drunk, there's now Guardian Angel, which takes a more proactive stance in helping alcoholics avoid relapse. Mini-games include "Route Planner", in which players have to get home without passing any booze stores. They also have to do so in a taxi with just a limited amount of money. 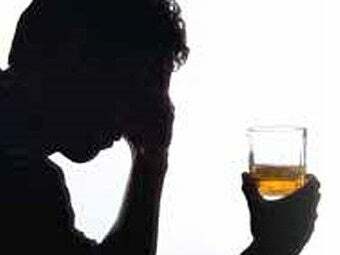 Another game forces them to throw all the alcohol out of their house, plus any triggers that could lead to a relapse. In mine, that would be the PS3, because any time I'm pitching in MLB 10 The Show I need a Bud. Researchers say they've gotten nothing but positive feedback from test subjects, many of whom have offered advice on how to make the scenarios more realistic. The value of Guardian Angel may not be in the gameplay or in the realism, but in simply letting people safely make mistakes and watch their lives unravel. "People will intentionally mess up to see what happens [in a regular video game]," said one researcher. "It's the same thing here." I kind of buy that. Minding my own business in Grand Theft Auto IV, I can elect to go on a rampage when some shithead makes an unsignaled left into my car. The armed and escalating police response reminds me of how stupid that is, and I restart. The same principle, applied here, resonates with me.